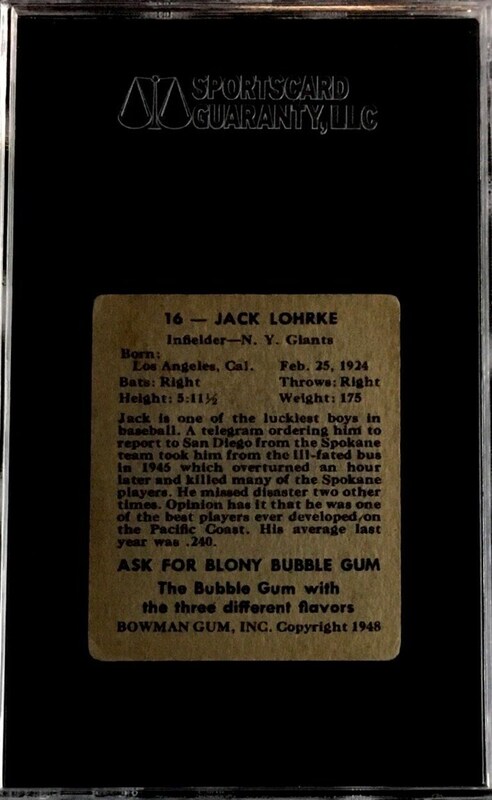 Up for your consideration is a 1948 Bowman #16 Jack Lohrke card. By the time he was 22, he appeared to have escaped death at least six times. When he debuted in the majors, in 1947, he was known as Lucky Lohrke. 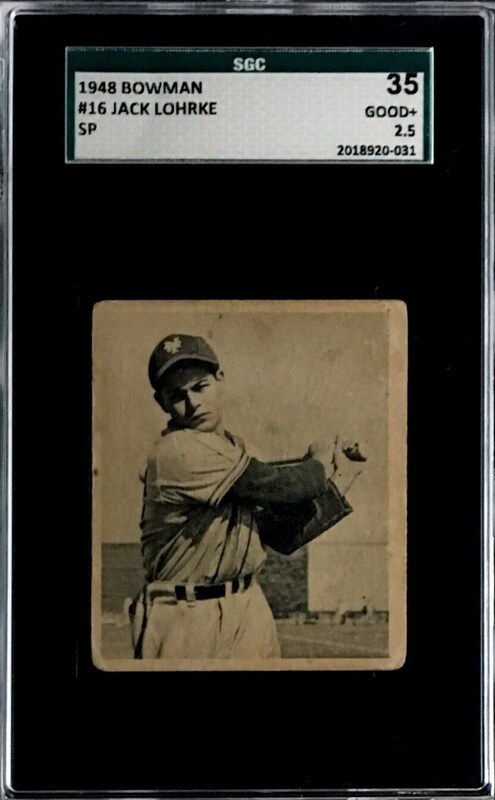 For sale here is a touch short print in the set that has been graded an SGC 35.